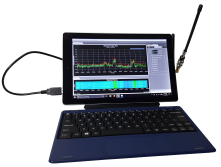 Imagine being able to remotely access your RF Explorer device and perform RF spectrum analysis over the Internet. It’s amazingly easy and quick to setup, and inexpensive ($195 USD). 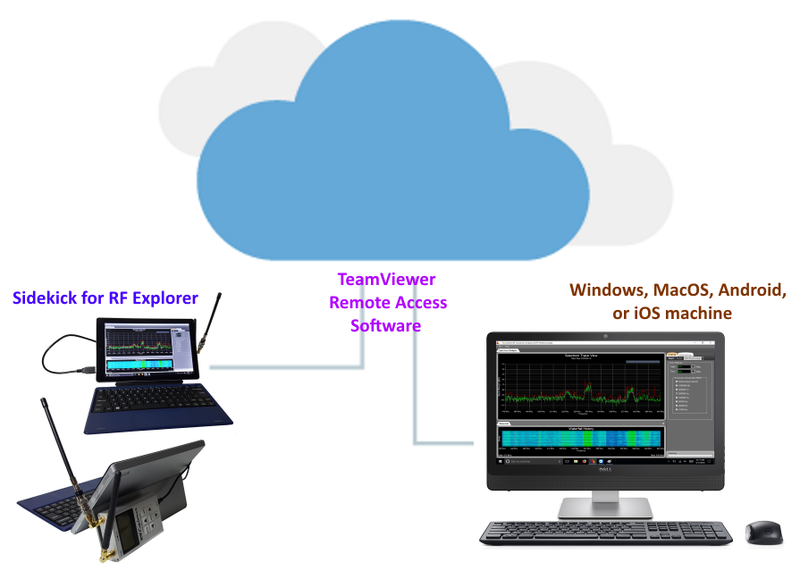 Sidekick is a Windows tablet connected to your RF Explorer device and preconfigured with software — Touchstone-Pro (for RF spectrum analysis) and TeamViewer (for remote access). Simply use Windows to associate with your Wi-Fi network, launch TeamViewer and jot down the ID and password. You can now use TeamViewer running on another machine (from anywhere) to connect with the Sidekick Windows tablet and use its desktop as if it were right in front of you — and that’s about it. You could create your own, similar, solution using a Windows laptop computer. However, with Sidekick we’ve chosen a low-cost, small-footprint Windows tablet that can support both power and data, and which comes with pre-configured software — at a price less than what it would cost if you did it yourself. 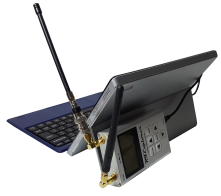 Plus we save you time — all you need to do is attach your RF Explorer device to the tablet’s USB port and you are ready to go. NOTE #1: Sidekick does NOT include an RF Explorer device — you use your own.